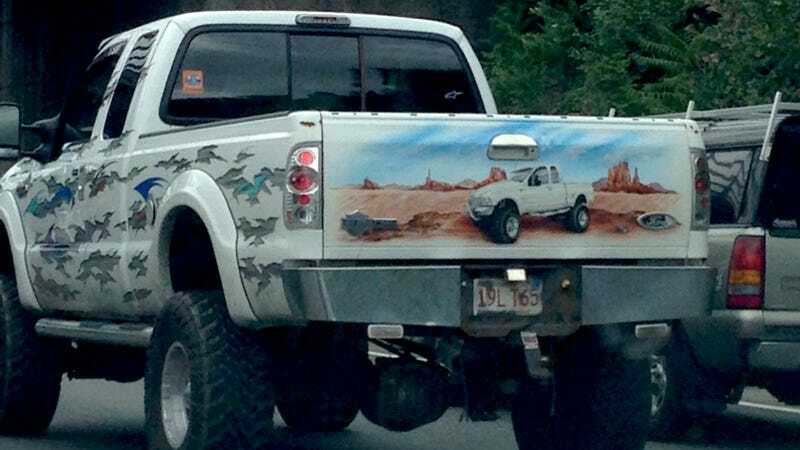 This Ford SuperCab Super Duty has a picture of itself (airbrushed?) on to the tailgate. The rest of the setup isn't really my style, but I kinda love the illustration. What's with Massachusetts cars rocking redundancy this week?